VERTICAL SECLUSION – PalmSHIELD is excited to about Vertical Seclusion, a vertical louver screening and fence system. Vertical louvers are very popular for mechanical equipment screen enclosures and rooftop equipment screening when designers and architects want to match an existing design. PalmSHIELD recognizes roof panels and building eaves have a vertical pattern in panel ribbing or ridges. Where the louvered screening aligns closely to roofing and eaves; designers want to continue this pattern for a consistent look. The challenge with a vertical louver design is that using traditional single profile louvers will not consistently provide the necessary screening. As you pass from left to right in front of the louvered screen or fence, you will go from full screen to practically no screening. You do not have this challenge with traditional horizontal louvers as the louvers are rotated to a specific angle that provides necessary screening at a standard line of sight. PalmSHIELD has overcome this challenge by using a double profile vertical louver design. At any angle, you have 100% coverage yet still maintain good air flow. The louvers may be adjusted to increase air flow and establish some visibility or to allow light to pass. The other challenge PalmSHIELD had to overcome with a vertical louver design is the use of supporting braces. Since the louvers are vertically placed, the supporting braces would be horizontal. This horizontal structural brace would contradict with the overall vertical appeal. PalmSHIELD chose a vertical louver with significant structural integrity thus eliminating the need for a horizontal brace on standard height panels. 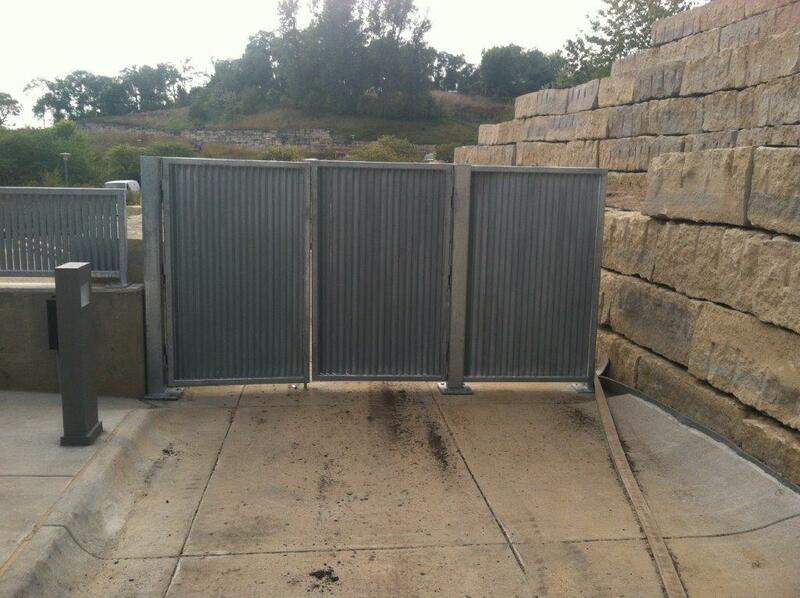 Vertical Seclusion is available in both a galvanized steel louver design or our traditional aluminum louver design. Both vertical louver designs can be powder coated to match your specific color.